The first of our wines to made in concrete egg tank, this is a complex and thoughtful Sauvignon Blanc. Wild fermentation, oak aging and extended lees contact adds breadth and texture, backed by juicy citrus, chalky flavours and crisp salinity. Sourced from the Saint Maur Vineyard in the Southern Valleys, the grapes were handpicked and whole bunch pressed directly into concrete egg tank (40%) and seasoned French oak barrels (60%) for wild fermentation. The wine was then aged on full yeast lees for 10 months and stirred regularly with a small portion going through malo-lactic fermentation. Unfined with a light filtration prior to bottling. Aromas of lemon balm, citrus pith, honeydew melon, pineapple, and white peach combine with toasty notes and dried herbs. This wine has granular texture with excellent concentration. 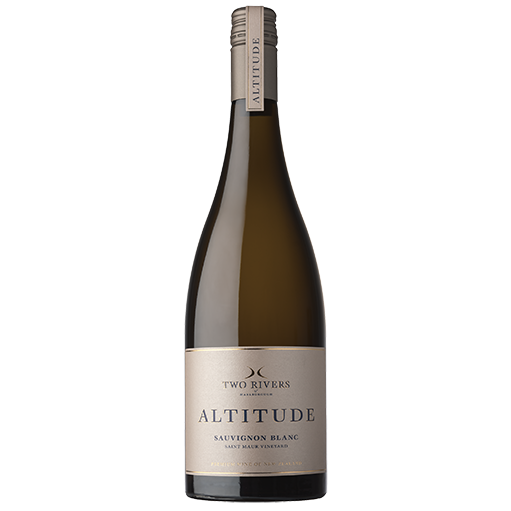 Balanced with juicy citrus notes, wet stone, chalky flavours and crisp salinity. Extended lees ageing has added breadth, providing complexity and elegance. Granular texture with excellent concentration. Balanced with juicy citrus notes, wet stone, chalky flavours and crisp salinity. Extended lees ageing has added breadth, providing complexity and elegance. Delicate yet complex with aromas of lemon balm, citrus pith, honey dew melon, pineapple, and white peach combined with toasty notes and dried herbs. Pan fried white fish, grilled scallops with burnt butter and sashimi.